IIMS-Indian Institute of Management Skills is Founded by Saleem Vyapari belong from Nechhwa . 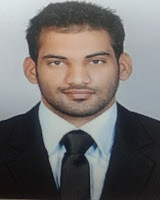 He has completed post Graduation .He is Young Entrepreneur in Rajsthan Sikar He also Founder of Global Travel Agency(GTA) He has passionate for Teaching and sharing knowledge with others which will increase ability of a Students.He want to see my students on a good position in an organization in the world which will increase dignity of his/her country. What ever i desire to teach its all collection of from my experience in different States and Country. Co-founder of IIMS Javid Khatri from laxmangarh . I have completed M-TECH in Computer Software Engineer. I love to teach about computer and increase there ability for getting higher position.